SEOUL, Oct. 21 (Korea Bizwire) – Samsung Electronics and LG Electronics, the two pillars of Korea’s electronics industry, have displayed state-of-the-art communications technology and smart items at the World IT Show 2014, the trade show being held at Busan’s BEXCO Exhibition & Convention Center for four days between October 20 and 23. Samsung set up a large booth of 900 square meters at the No. 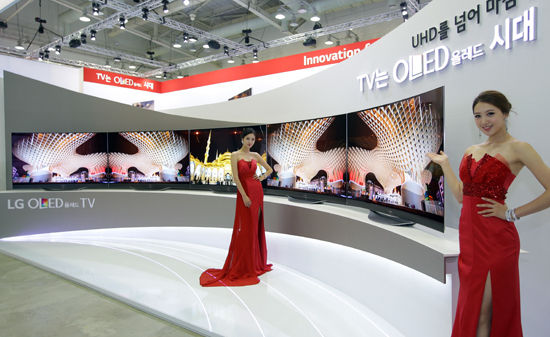 2 exhibition hall in BEXCO with a theme “The innovative future led by 5G network.” The company featured in the hall the 105-inch bendable ultra-HD TV and other latest curved TV models. 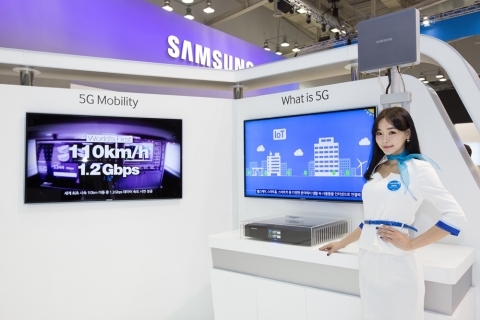 In its smart devices sector, the company showed off the Galaxy Note 4, Galaxy Note Edge, Gear VR, and Gear S. It also showcased a technology that transmits ultra HD video data to a large-sized TV in real time while on the go. 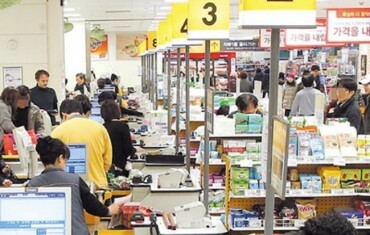 Not to be outdone, LG Electronics prepared its booth slightly bigger than that of Samsung, focusing on emotionally appealing wearable devices and premium communications devices. 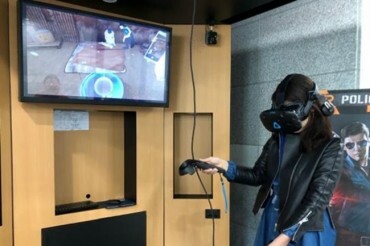 It unveiled the vision of 5G mobile communications in four different areas including ultra HD-class video transmission using the smartphone, connected car service, virtual reality and augmented reality applications. In addition, the company showed off the 77-inch ultra OLED TV, web operating system-mounted Smart Plus TV, G Watch R, Quick Circle Case, LG Tone Plus, KidsOn, and G-Pad. Other items on display in LG’s booth include the 21:9 CineviewCurved Monitor, the 4K Monitor for professionals, and the TabBook combining the features of a laptop and tablet computer.